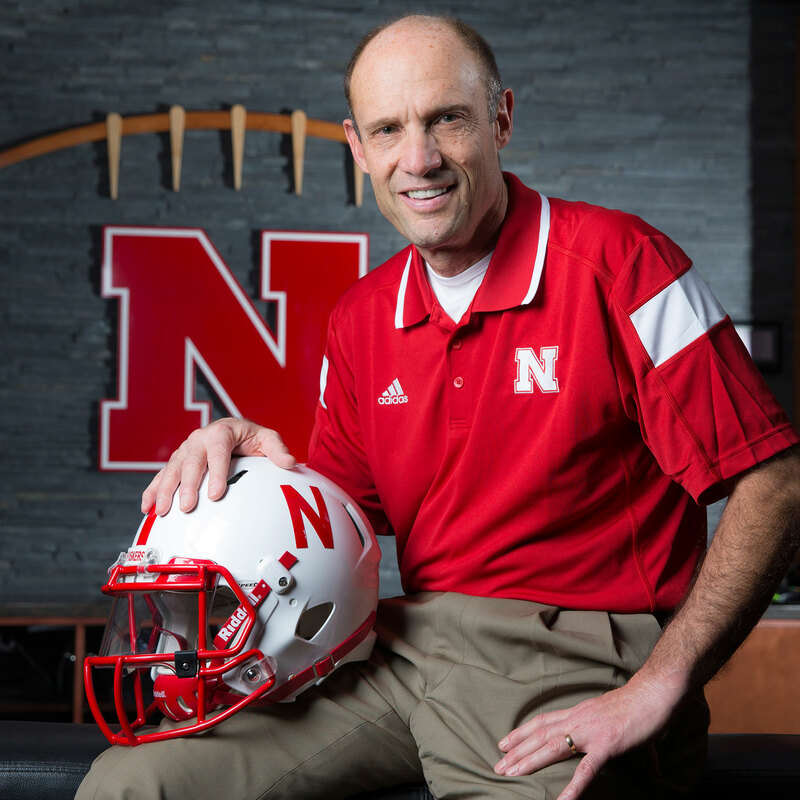 Shirts With Random Triangles: Nebraska head coach Mike Riley would accept internet-spawned Nebraska-Minnesota rivalry trophy if the Huskers beat the Golden Gophers this season. Then Minnesota dragged the idea through the cyberspace rabbit hole and into the real world Neo-style. It even brought it to Nebraska's Memorial Stadium Minnesota-Nebraska game, which the Gophers won 28-24, and proudly carried off the field. It's real, and it's spectacular. "@GoldytheGopher: Detailed looks at the #BitsOfWoodenChairTrophy with @FauxPelini. 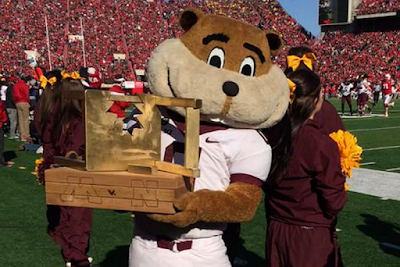 pic.twitter.com/fZF401TXYo"
Goldie Gopher with $5 or Bits of Broken Chair Trophy. Img. via SB*Nation. Well, it looks as though first-year Nebraska head coach Mike Riley is taking this escalation of the fledgling rivalry between the two Big Ten schools seriously. Asked about the trophy by an Off Tackle Empire staff member at the Big Ten Media Days and Kickoff Luncheon fan event, Riley said he'd gladly accept the trophy should the Huskers beat the Gophers this season. So we have a Nebraska head coach agreeing to accept a trophy created in part by the Twitter parody avatar of his predecessor. The borders between reality and cyberspace are falling, and it is beautiful.